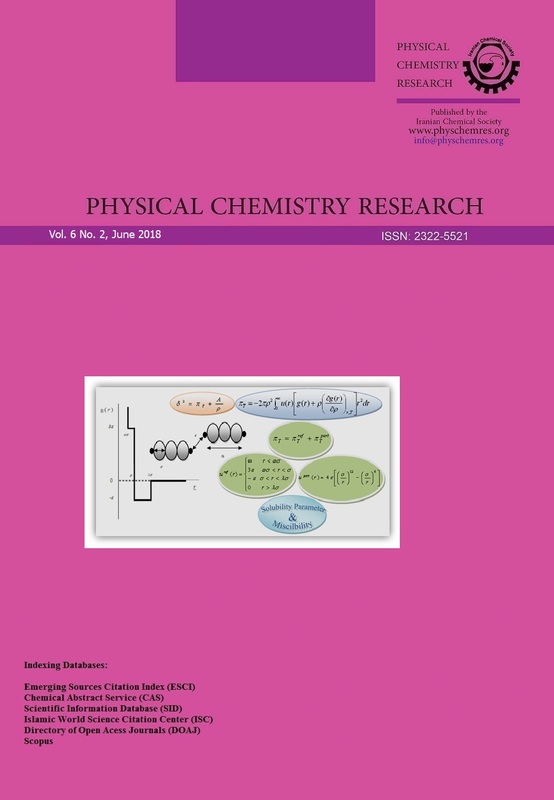 Electron transport properties of pure and Oxygen and/or Methyl substituted pyrene between two semi-infinite Aluminum atomic electrodes have been investigated by means of density functional theory plus the non-equilibrium green’s function method. 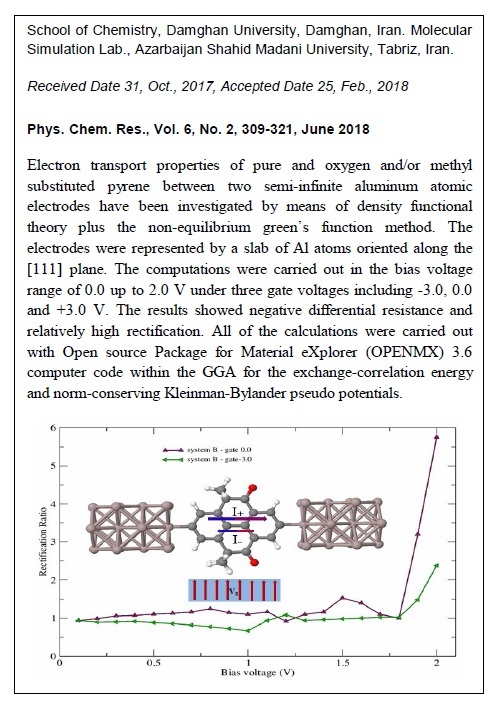 The electrodes were represented by a slab of Al atoms oriented along the  plane. The computations were carried out in the bias voltage range of 0.0 up to 2.0 V under three gate voltages including -3.0, 0.0 and +3.0 V. The results showed negative differential resistance and relatively high rectification. All of the calculations were carried out with Open source Package for Material eXplorer (OPENMX) 3.6 computer code within the generalized gradient approximation for the exchange-correlation energy and Norm-conserving Kleinman–Bylander pseudo potentials. The observed rectifying and the negative differential resistance were justified using the transmission spectrum and its integration in the corresponding bias window. Also, the negative differential resistance behavior has been investigated by studying the density of states of left electrode, central region and right electrode and their overlaps.